Perform lifting palletizing loading and unloading applications with this scissor cart featuring a 24" x 48" platform size and a load capacity of up to 1500 lbs. 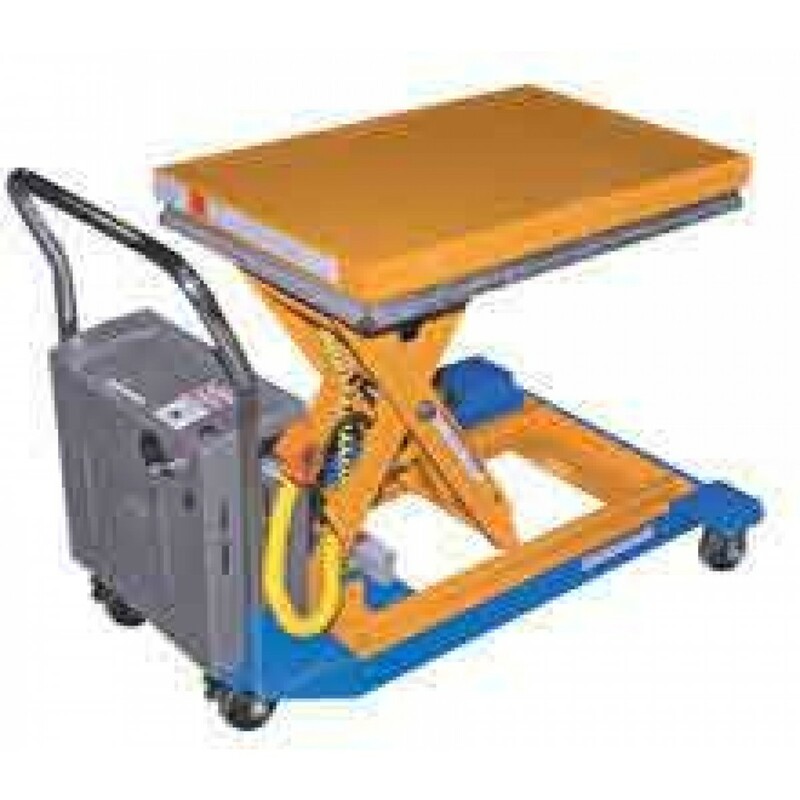 The Vestil CART-24-15-DC DC Powered Scissor Cart is equipped with 2 rigid and 2 swivel 4" x 2" phenolic casters with brakes for safe and easy transport. Service Range: 9-1/4" to 42-1/2"
Powered by an internal DC powered electric motor and a 12V battery.